Kuala Lumpur, 2 August 2017 - Fifteen teams from schools in nine states of Malaysia will compete in the Sime Darby Young Innovators Challenge (SDYIC) 2017 National Championship come 8 August 2017. The 15 teams were selected from 1,000 teams which participated in the national Young Innovate Competition, which is co-organised by social business start-up Chumbaka in collaboration with Malaysia Digital Economy Corporation (MDEC) and youth volunteer community iM4U. Four teams were from Selangor, five teams from Sabah and Sarawak and a team each came from Penang, Perak, Melaka, Johor, Pahang and Terengganu. Yayasan Sime Darby (YSD) Chief Executive Officer Puan Yatela Zainal Abidin said the initiative encourages Malaysian youths aged 13 to 16 to collaborate and discover innovative, creative and actionable solutions by honing design thinking, innovation, leadership and entrepreneurial skills. “We are proud to be part of this initiative with such a sustainable impact on the development of these young Malaysians, who will no doubt contribute to the development of our nation. “On behalf of YSD, I would like to thank social business start-up Chumbaka, MDEC, iM4u and partnering universities for their invaluable support of this year’s programme,” she said. A joint collaboration between YSD, MDEC, Chumbaka and iM4U, the innovation challenge is a nationwide event bringing together universities, the community and members of the technology industry to celebrate the creativity and inventiveness of secondary school students in Malaysia. With a total of 17 universities involved this year, university students served as mentors to participants from the 318 schools, enabling the university students to explore careers in STEM-related areas. Sime Darby Group Chief Strategy and Innovation Officer Mr Hari Nair said the collaboration between all aforementioned parties have expanded the initiative’s reach to about 3,000 students. “When the project first started in 2016, we had an outreach to 128 students across Malaysia. This year, I am very pleased that the outreach has expanded even further to almost 3,000 students,” he said. “We have approached a different method by reaching out to various partners in the field for potential collaboration. The collaborative efforts have also incorporated diverse areas of expertise and network that have made this program feasible with a lot of room to grow even further,” he said. MDEC Vice President of Talent and Digital Entrepreneurship Sumitra Nair said this initiative is indeed in line with the aspirations of the national #mydigitalmaker movement, which seeks to transform our youths from being digital users to becoming digital innovators. “We applaud Yayasan Sime Darby’s efforts to nurture the talented students emerging from the Young Innovate Competition,” she said. Chumbaka Business Development Manager Eunice Ooi said it is heartening to see the social business startup’s Young Innovate programme, which began in Penang five years ago, grow further through this collaboration with YSD. "What started as a platform for students to showcase their ability to solve real-life problems using technology — has grown into a competition of such a grand scale today with the involvement of many strategic partners. “By coming up with a solution using embedded systems and coding, students develop their tenacity, creativity and empathy, important life skills that they need to prepare themselves for jobs of the future,” she said. 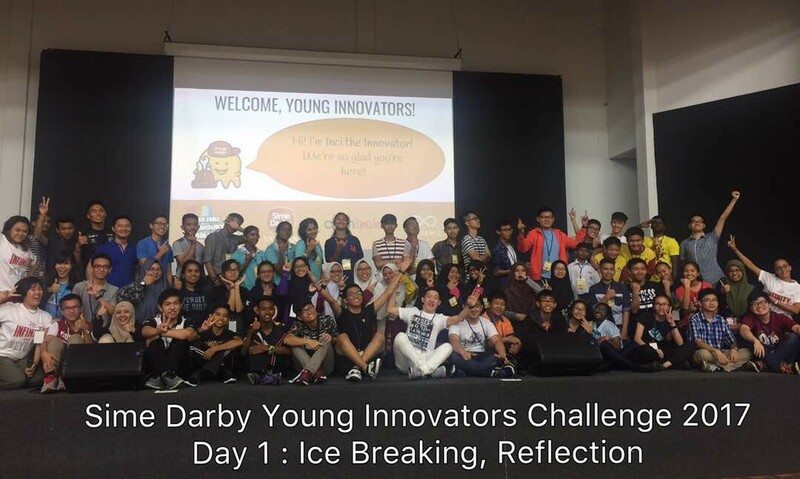 The 15 teams will converge for the seven-day Sime Darby Young Innovators Challenge (SDYIC) from 2 to 8 August 2017 and will have the opportunity to meet industry experts, Science, Technology, Engineering and Mathematics (STEM) professionals and other enthusiasts in the field of innovative technology who will provide knowledge, solutions, information on market validation and entrepreneurial skills to the students. Each member of the winning team stands to win an educational trip to the headquarters of Accenture in Singapore, a one-day trip to Universal Studios Singapore as well as a Universal 2.0 robot kit. Each member from the runner up team will win a Ultimate 2.0 robot kit while each member from the second runner up team will win an mBot Ranger Transformable STEM Educational Robot Kit as well as an mBot Ranger Add-On Pack Laser Sword/Lightsaber. Check out the SDYIC 2016 winners and their prototype here. For more information on SDYIC, visit their website here and Facebook page here.